Hot off the press! The Lingo Bus App 2.0 version for iPad is now available! 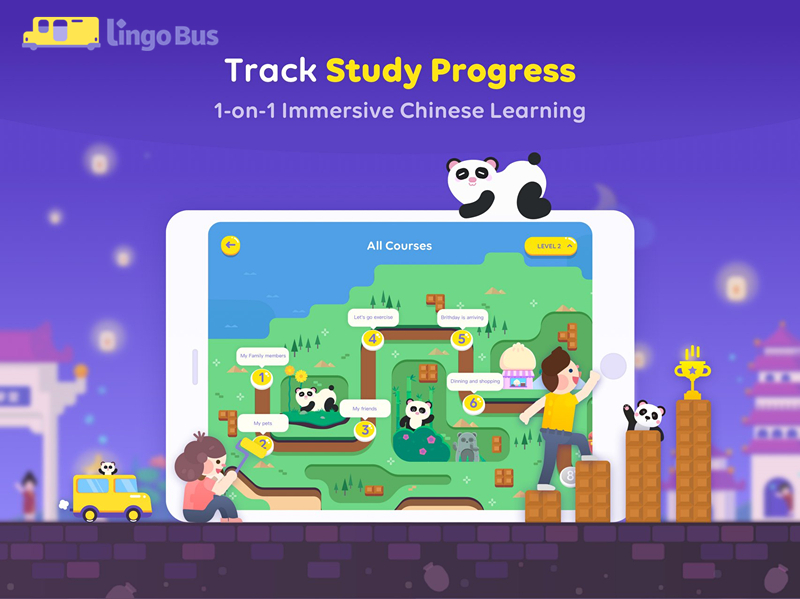 What’s the best thing about learning Mandarin Chinese online with Lingo Bus? 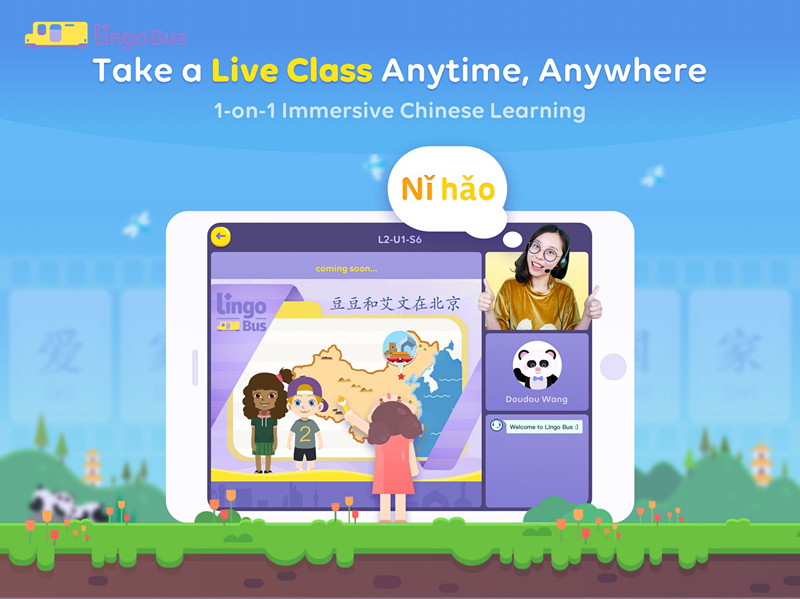 It’s the convenience that allows you to learn Chinese anytime and anywhere! This is something that our students make use of, with some of our classes in the past being taken at Disneyland, in the airport, or even on a train, so that no time is wasted when it comes to Chinese learning. This is only possible for our users because of our handy iPad app. With it, you can take Lingo Bus anywhere with you, and its perfect touchscreen enabled-interaction makes learning even more fun! This is a sensational updated version. Our technology experts and design artists have worked together to present a completely new User Interface that is not only cute but extremely user friendly. Knowing where you are is highly essential, especially in regards to learning. Our 2.0 iPAD version has made this happen with its new update. In this version, you and your children will be able to clearly see where he/she is in their language journeys. So that you will never worry about getting lost in the sea of Chinese classes again! Here you will be able to see how many classes your children have finished in a unit. By clicking on the “All Courses” button, you will be directed to the roadmap for the whole level! A fresh new look with upgraded animations! When creating new features we always have our users in mind! Our new version has become even more kid-friendly. It includes even more cartoon elements to make the app itself more like a game and full of fun for our students. So much so they’ll forget they are even learning! 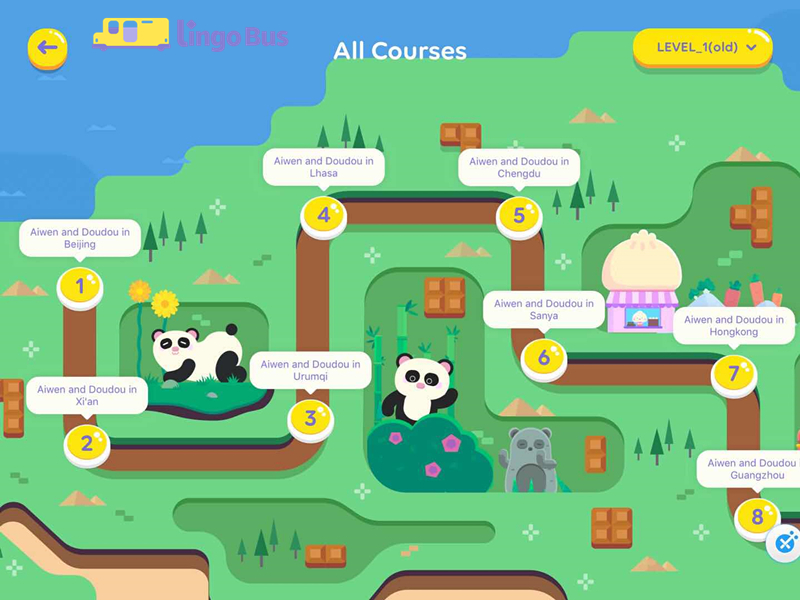 In the unit map interface, as your children take more classes, our yellow bus will drive through many traditional Chinese cultural icons: pandas, a hotpot restaurant, a dumpling store, etc. 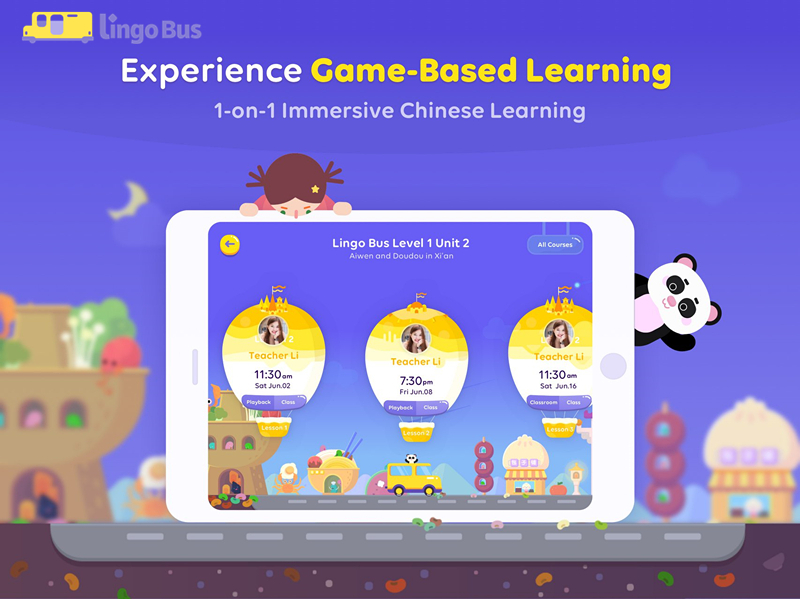 This lets your children get immersed in Chinese culture even before they start their class simply by accessing the Lingo Bus App! If you are new, here’s what you can do with the Lingo Bus App. Here is another article in which we talk about the main functions of the Lingo Bus App if you’d like to find out more. 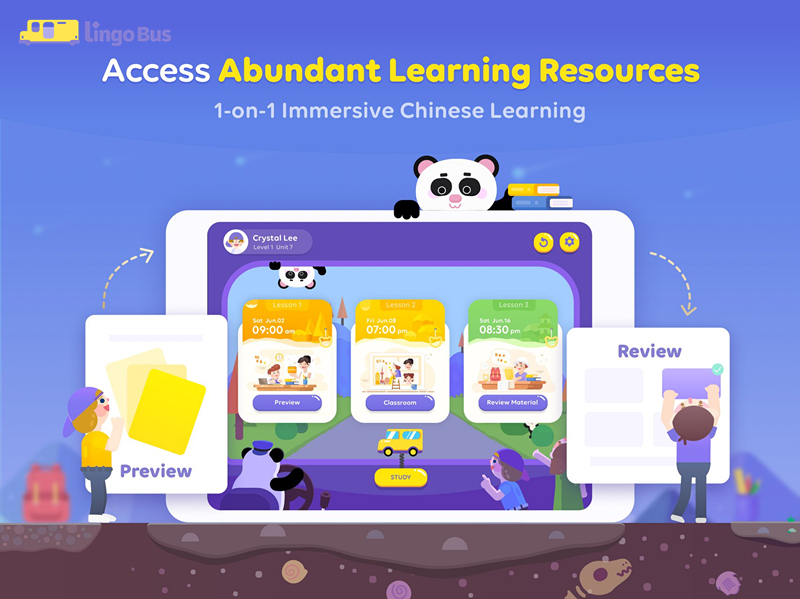 Lingo Bus is an online Mandarin education platform for one on one Chinese language classes. We focus on Chinese language education for kids aged 5 to 12 years old. 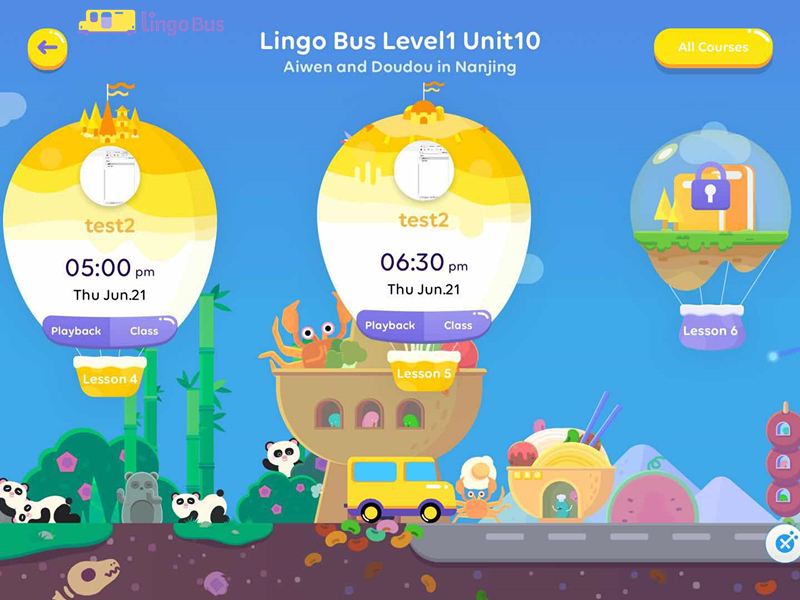 At Lingo Bus, children learn Chinese from the most loving, passionate and experienced native teachers, develop cultural awareness and curiosity, and most importantly, have fun while doing it. Our immersive curriculum is developed in-house in accordance with the internationally recognized ACTFL and YCT standards, thanks to a team of experts with background in linguistics, education and developmental psychology. With our curriculum, students can learn in a Chinese-only environment, absorb the language faster and start speaking Chinese from day one. System Requirement: Requires iOS 9.0 or later. Compatible with iPad.